Citimark Properties expects to have permission for a reconfiguration of the $175 million Markwell Residences project within two weeks after this week locking in the 100th sale at the Surfers Paradise landmark project. CBRE Residential Projects Gold Coast Director Nicholas Clydsdale said the project had experienced strong local, interstate and offshore market support. "This is a strong endorsement for the local relevance of the product, the rarity of beachside sites in Surfers Paradise, and the high quality of finishes and amenity included in the building," Mr Clydsdale said. Designed by Steve McCracken of BDA Architecture, Markwell was the first high-rise project launched in Surfers Paradise in eight years when it was unveiled in late 2015. Citimark has lodged a Permissible Change with Gold Coast City Council to add another premium level to the building; a garden deck for the penthouse; and an improved reconfigured layout for our B type apartments. This is due to be approved within the next two weeks. Comprising 210 residential apartments and approximately 500sqm of retail space over 46 levels, the project is located on the corner of Markwell Avenue and Surfers Paradise Boulevard, Surfers Paradise, about 200m from the beach and adjoining the Q1 precinct and the new light rail. 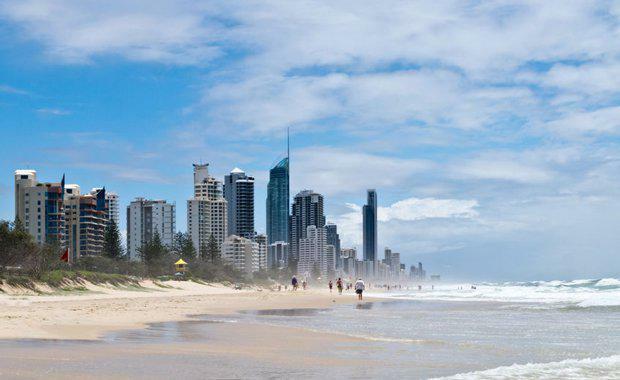 Citimark’s Director of Sales Megan Barron said, "The Gold Coast is in a unique position as it still has probably the strongest fundamentals across the eastern seaboard in terms of population, jobs and infrastructure – the three things that drive property value and demand. "Construction is expected to commence later this year or early in 2017. Citimark Properties is a multi-award winning, family owned property group operating throughout Australia. Headquartered in Brisbane and established by Joint Managing Directors and brothers-in-law, Angus Johnson and Robert Pullar in the early 1990s, the company is regarded as one of Australia’s most established property groups with a diversified development portfolio in the residential, commercial, retail and industrial sectors. Citimark's previous residential projects include the $155 million Central Brunswick urban renewal project in Fortitude Valley, the $130 million Evolution riverfront tower in Brisbane’s CBD, the $95 million multi-award winning Felix tower in Brisbane’s CBD, a 25ha Mitsubishi Motors industrial redevelopment in Adelaide and the 330-lot Emmadale Gardens estate at Gladstone.